March « 2011 « Welcome to Property Source Nation! 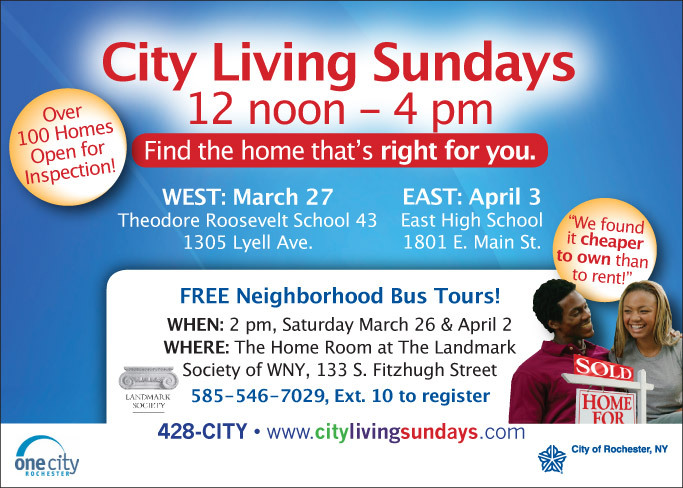 Join Steve Hausmann and Pat Coyne as they welcome Ted Wood of City Living Sundays this Saturday 3/26/11 on Property Source Radio! If you are thinking of buying – this is a great opportunity to meet Realtors, Lenders and Insurance pros to get all of your questions answered. See image for Locations and Times of the event! Sandy Waters from 98 PXY joins us in studio to talk new homes with Kartes Home in Greece! Tune in live for Property Source Radio this Saturday morning from 9-10am on Sportsradio 950AM ESPN Radio or stream the show online. Doug Westerdahl joins us on Property Source Radio to talk about their products and services. There is a proposed change for the Wheel Chair logos that everyone is used to seeing. Weigh in on your thoughts. Sportsradio 950 ESPN or you can stream the show! According to Peter Stoller, Director of Communications and Government Affairs with the Greater Rochester Association of Realtors, the median sales price of homes sold in Monroe and the 11 counties surrounding it in 2010 was $119,900. This is a 3 percent increase from 2009. Stoller also stated that there were 4 percent fewer homes for sale in 2010. That is only a 5 percent difference in completed sales from 2009 to 2010. Those are facts. Be an optimist about today’s real estate market. My personal experience, although it may be different from other agents, is that when researching comparable sales, homes are selling for less than during the tax credit period. To me, that says one thing. In order to get the best price for any property, it needs to look better than all its competition on the market. Interest rates are still great. Robert Everhart, Mortgage Consultant for First Rochester Mortgage, www.roberteverhart.com, states recent rates still allow you to get financing in the high 4% range. I have been telling sellers that they may make as much profit, but they can make out well purchasing a home and getting a lower interest rate. Do you want to sell your house quickly, have a smoother transaction, and get the most money for it? If yes, it takes some money and definitely preparation. I recommend several steps you can take to simplify the home selling process. Do the obvious repairs needed such as holes in walls, chipped paint, and things around the house that aren’t working. Get your carpets cleaned. Have your furnace and chimney cleaned and inspected. Having receipts readily available for buyers gives them a good impression. Documentation of warranties, proof of recent upgrades such as windows and roofing, as well as recent utility bills are a big plus for you. Be proactive and have a pre-sale inspection done. The price on this will be approximately $125 according to John White at Integrity Inspections. You will learn of any hidden issues that need to be addressed that may arise from a buyer. If you don’t have changes to your home such as sheds, home additions, swimming pools, and finished basements documented with a certificates of occupancy, a “C of O” from your village/town, get one. Have your agent pull up your tax records on line. Be certain that everything listed is accurate. Many times they are not. 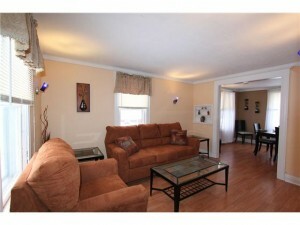 Upon completion, have your house professionally staged and professionally photographed. In addition to the photographs, insist on a virtual tour. If your agent is not willing to invest in these things that absolutely promote your home, get a different agent. Don’t think because you are a regular viewer of HGTV that you alone can stage a house. Don’t think your agent can stage your house. 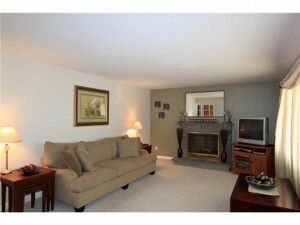 No matter what your listing price is, staging is imperative. You need a professional home stager. I don’t want to hear one more person tell me that baking cookies before showings and de-cluttering is home staging. No kidding. Really, that’s news to me. There is a lot more to home staging than just common sense. Leaving out a dirty litter box, getting clothes off the floor, removing dirty dishes from the sink, keeping a toilet lid down, and getting globs of toothpaste out of the bathroom is a given. You are selling a house, not getting a quote from a house cleaning service. The efforts you put into preparing to sell your home may cost some money, but it will be well worth it. Never list a vacant house. These preparations will save you money in the long run and give you some peace of mind. They need to be done no matter what your house is going to be listed for. As always, if you have any questions or a request for a future article from me, let me know. The Light Bulb: Is It Really Energy Efficient? The biggest money grab on the planet right now is this absolutely ridiculous idea to get rid of the incandescent light bulb! Previous to this latest hogwash, was the invention of the 1.6 gallon flush toilet, and the phasing out of Freon gas, which was in nearly every piece of refrigeration equipment in the world. Freon was, and is, the very best refrigerant by ten times over than the stuff we are forced to use today. The amount of water on the earth has not changed in 25,000,000,000 years, and the difference between a 3.0 gallon flush toilet, which flushes just fine, and those aggravating 1.6 gallon flush toilets you have to flush two times or more to get the same result, is not much. I’m not very good with math, but the last I checked 1.6 plus 1.6 is more than 3.0 gallons! The staggering cost of the Freon money grab is between 20 and 25 billion dollars and the toilet mess between 8 and 13 billion dollars. Who benefited from these idiotic changes which were jammed down our throats? Not us, that’s for sure. Why do we let these things happen to us? Remember the phrase, “You get what you pay for?” If you buy a CFl bulb (compact fluorescent light bulb) you have spent five times more than an incandescent bulb. It takes a long time to “light up”, and is very susceptible to damage and leaking mercury all over the place when it’s broken. But, the most important aspect is, and why I display utter hatred for the new CFL’s is, they are not bright enough! It’s all about the quality of light, which in my opinion stinks! It is simply not the government’s business dictating what kind of bulbs a citizen can buy. If the CFLs along with other types of energy saving devices are really that effective, consumers will naturally gravitate in that direction. Edison would climb out of his casket if he could see what the global warming folks have done to his light bulb! We are naturally gullible sometimes. We want to believe what our government is telling us or what we hear from a very large company with a storied history. The truth is, these CFL bulbs do not last as long as they are touted to last. The whole country is thinking backwards. Let’s invent new ways of making electricity and make it an individual thing for all Americans, unique to their own homes. Can you imagine an America where no electrical grid exists or is needed? Twenty years from now every house in the country will have some kind of local wind powered electrical generating device such as the WindTamer Turbine. Also, the research and development of photoelectric arrays has been huge. Every home currently has 3 main mechanical systems, electrical, heating & air conditioning, and plumbing. Why not fit every home with its own power generating systems? An array of WindTamer Turbines at the peak, a large photovoltaic array facing south, and a fully automatic back-up generator for insurance, would make every home self sufficient. Let’s think outside of the box! The tree hugging, spotted-owl-loving, snail-darter saving, global-warming-scamming money-grabbers, that try and tell us at every turn, the things we love like our big cars, our occasional bon fire, and now our light bulbs, has to go. You are constantly told to sacrifice quality for the environment. It’s not really for the environment; it’s for the great money grab. The following press release may help explain what some folks in Congress are thinking. WASHINGTON – U.S. Reps. Joe Barton, R-Texas, ranking member of the House Energy and Commerce Committee, Michael Burgess, R-Texas, ranking member of the Oversight and Investigations Subcommittee, and Marsha Blackburn, R-Tenn., today introduced H.R. 6144, the Better Use of Light Bulbs Act. The BULB Act repeals Subtitle B of Title III of the Energy Independence and Security Act of 2007, which is a de facto ban on the incandescent light bulb that has its origins in Thomas Alva Edison’s laboratory. Most CFL’s are not manufactured in the United States. A recent Washington Post story reported that GE is shuttering a plant in Winchester, Va., killing 200 jobs in the process. CFL’s contain mercury and have to be disposed of carefully. The amount of mercury in one bulb is enough to contaminate up to 6,000 gallons of water beyond safe drinking levels. The EPA recommends an elaborate cleanup ritual, including throwing away any clothes or bedding that has come in direct contact with the mercury from the bulb. CFL’s are not designed to be turned off and on frequently; the lifespan of a CFL may be reduced by up to 85 percent if you switch it off and on a lot. CFL’s can raise your heating bills. They’re not great for interior use in a cold climate, because they produce less heat than incandescent bulbs. So you save on electricity, but have to pay more in heating costs. People with certain health conditions can be harmed by CFL’s. Reactions range from disabling eczema-like reactions, to light sensitivities that can lead to skin cancer. The Energy Star program warns that CFL’s can overheat and smoke. Carmen Santora, Executive Director of the Better Contractors Bureau (BCB) says, each year many of the so-called gypsy contractors hit town with one thing in mind and that is to rip off unsuspecting consumers, especially seniors. He said this year they have hit in full force and warns home repairs are at the top of their list, as they are the easiest to con people into doing by using many different scare tactics. Many homeowners have already been ripped off. The BCB offers the tips below to help protect you against these unscrupulous individuals. * Steer clear of drive-by repairmen. The most notorious scam artists in home repair frauds are the repairmen who cruise neighborhoods and sell their services at your front door. When that happens the first thing you should do is to check to see if they are driving a vehicle with out of town license plates. If they are then you can be sure you are talking to a fly-by-night operator. The license plate check is especially important to prevent the most common ploy; an offer to seal your driveway or clean your gutters at bargain prices. Some scammers even use useless motor oil to recoat driveways. * Watch out for bogus chimney improvements. Scammers may tell you that your fireplace is unsafe and needs a new chimney liner. But unless you have visible problems such as cracks, loose or missing bricks, they’re probably pulling a scam. They usually come to your house and offer to clean your chimney for $50.00, look down the chimney and say you need $3,000 to $4,000 in repair work for the fireplace to work safely. The work they do is usually unnecessary and it’s your money that goes up in smoke. Before agreeing to an expensive repair, hire an independent home inspector or a professional chimney sweep to do an evaluation. * Avoid the waterproofing scare tactics. If your basement floods every time it rains, you may need to have it waterproofed. But consider this very expensive job only after you’ve ruled out cheaper options. Frequently, gutters are simply clogged or soil surrounding the home has eroded so it slopes toward your home, causing water to seep in. Anytime someone tries to scare or panic you that should raise a red flag! Things like damp proofing paints and sealants can help with minor problems, as well as extending gutter downspouts out 4 feet from the house. Sump pumps can sometimes be installed without ripping up the entire basement perimeter. However, should you need major work make sure you deal with a specialist and always get three estimates. * Don’t fall for the gimmicks. “ I have some left over materials from a previous job and can give you a great deal”. Or “If you pay me cash I can give you a great discount”. These are just another version of phony dishonest scams! * One of the worse scams. is when they have children with them, and a lot do. They will ask if their child can use the bathroom and while you are outside the child is trained to search for valuables and you will find items missing after they’re long gone. DON’T LET ANY PERSON IN YOUR HOME FOR ANY REASON, ESPECIALLY IF THEY ARE STRANGERS!! You have decided to sell your home this spring. It is time to move on to a bigger space or smaller space. With spring approaching, the time to sell is now and now is the time to prepare your home for that quick sale. Consider home staging. This does not mean a total redesign, it does mean however, a serious plan to make your home as inviting and desirable to prospective buyers. The first step to successful staging is to clean out and declutter. Remove all piles of newspaper, magazines, third class mail. Put all folders back into your office space. Clear off dressers and bathroom vanities. Clean up the laundry room. Rid the space of extra baskets and move extra bottles of soap into cabinets or down in the lower level on shelves. Neatly organize all closets, especially the master closet and main coat closet. Give prospective buyers the opportunity to visualize their belongings in large, clean spaces. Depersonalize! Remove all family photos from tabletops and bookcases. Take a look at your fridge. Is it plastered with soccer schedules and coupons? Get rid of those too. Sort your child’s artwork into folders and store in bins that are out of sight. Sort your children’s shoes and donate outgrown hockey skates and soccer shoes. Take a walk through your home and remove large pieces of furniture. The idea is to showcase the home, not your inherited, oversized secretary. Make the spaces in your home appear to be more spacious. Purchase new toss pillows and remove heavy draperies. Let as much natural light in as possible. If you have a fireplace, clean the bricks and remove any accumulations of ashes. Neatly place a few logs in a large basket nearby. Think about painting. Paint your rooms a soothing, warm, neutral color. Choose a shade that will appeal to most buyers. So, if you have a wall in your great room painted red, neutralize it. Repaint your master bedroom in a soft color and then paint the master bath two shades deeper. Buy a new duvet in white or ivory and keep patterns limited. Have your carpeting cleaned and wash any throw rugs.. or just get rid of them. If your dining room is formal, set the table with your finest china. Your prospective buyers will want to see if they can entertain here. Remove large pieces of artwork too, so the new owners can imagine their artwork on your walls. To sell your home quickly and get your asking price, you need to prepare. A few days staging will pay off in the end. The day of your first open house, purchase fresh flowers for the dining room and another bunch for the coffee table. A large basket of apples or lemons should be placed on the kitchen countertop. Remember to make your home smell inviting, crumble chocolate in a glass dish and place in a very low oven. The take away here is appeal to all the senses. Put on a classic CD, make away plans for your kids and yourself. Hand your home over to your selling agent, and relax and wait until you will quickly hear the word….SOLD!